Police routinely get calls to pick up dirty needles by the side of the road. In October they broke up an alleged heroin distribution ring. Six people were arrested. But in Bridgton there are doctors and counselors who are working hard to help people overcome addiction. And they're finding success with some innovative approaches to treatment. In part three of our series “Recovery in a Small Town,” the combination of medicine and mental health therapy are showing early signs of success in treating opioid addiction. 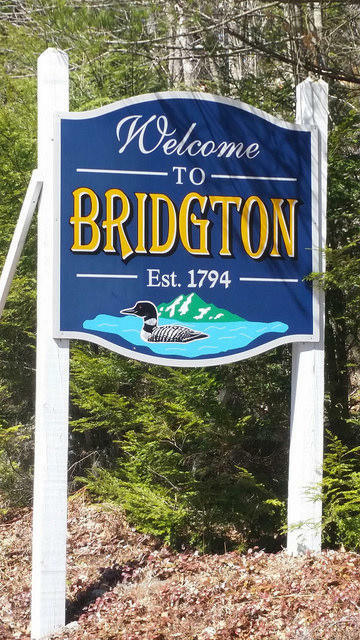 On the outside, Bridgton looks pretty healthy. New businesses are popping up on Main Street. 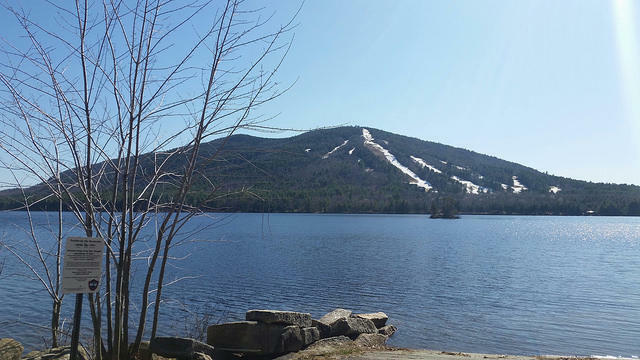 And with a ski area, two lakes and hiking and snowmobile trails, this has long been a destination for those looking for fun and relaxation. But if you think of a community as a patient then Bridgton started exhibiting symptoms of a serious illness about ten years ago. "I had a lot of young people calling the agency to come into treatment," says Catherine Bell, she is a licensed drug and alcohol counselor and the CEO of Crooked River Counseling. "And they had no money," she says. "They had no transportation, no insurance. They were using needles, shooting heroin and it was just like — we were really bombarded." And Bell says she didn't know what to do. The closest methadone clinic is about 40 minutes away. And there were no local doctors prescribing Suboxone. And then Bell met Dr. Craig Smith. "We knew for a person to be successful they would likely need medication and we just didn't have anybody around and so I had said to Dr. Smith one day at lunch, I said, I'll tell you what," she says. "You prescribe. I'll do the counseling for you." A sign on the wall in North Bridgton Family Practice. Smith is a family doctor at North Bridgton Family Practice which is affiliated with Bridgton Hospital and Central Maine Medical Center. He says at the time he was approached, he didn't know anything about medication assisted treatment for addiction. And so he said he'd have think about it. "And in the month of August that year I had four or five patients that overdosed and died," Smith says. "Some were in New Hampshire and some were in Maine. One was a 34-year-old mom, two kids. I had no idea. I'd see her twice for a physical and really we hadn't talked about that. And that was very difficult, that that was going on and we really didn't have any idea that was happening in our patient panel. I still feel guilty about that." Smith says that spurred him to get trained and certified to prescribe Suboxone. At the time, few doctors were doing it, especially in a family practice. But Smith says the hospitals were supportive. So he and Catherine Bell started combining medication assisted treatment with mandatory, intensive outpatient counseling and group therapy several times a week. Patients are also regularly screened for illegal drugs. "You think you're alone until you go to group and talk about it and there's five other people going through the same thing," says Jennifer Place of Oxford. She says she started cashing bad checks to support a 20-year-long drug habit. She eventually pleaded guilty to forgery. But she says her employer, a restaurant in Oxford, has been understanding. Co-workers wrote to her while she was in jail for 30 days. And she's been allowed to work a schedule that accomodates her regular morning treatment at North Bridgton Family Practice. She says she no longer wakes up and thinks about where she's going to get drugs. "Or how I'm going to sneak my way around this," says Place. "Or you know, I've got money. I wake up and I'm okay. I come to treatment and I talk about it." Place says she likes the fact that her doctor and treatment providers are all under one roof communicating about her physical and mental well being. Dr. Smith says he has about 70 Suboxone patients. His wife, Dr. Jennifer Smith, is an osteopathic physician who also provides medication assisted treatment at the clinic but she admits it was not without some serious reservations. It took her husband and Catherine Bell two years to convince her to get on board. "Kind of my initial feeling was I don't want those people in my office," says Dr. Jennifer Smith. "I run a family practice. I see alot of kids. You know I don't want them here and what it ended up being was all my patients. These aren't outside patients. This my patient population. I'm just taking better care of them!" Some of these patients included pregnant women. And Dr. Smith says that was a big motivator, not only for her but for the nurses at North Bridgton Family Practice who took it upon themselves to get trained in a higher level of care to support the mothers and their newborn babies. For the Smiths, medication assisted treatment has been one of the most rewarding aspects of their rural practice. "I mean you see people going back to school, going to back to work, staying out of jail, getting DHHS out of their life," she says. And they're not overdosing. 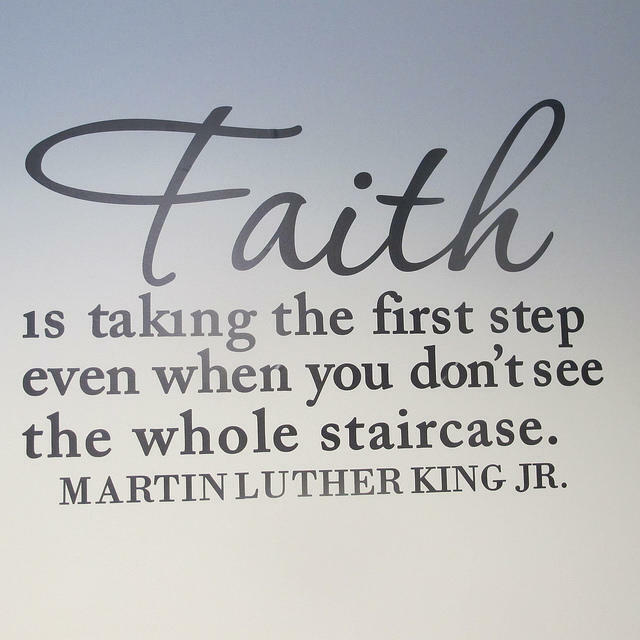 Craig Smith says the key to success is to combine counseling with medication. He recommends that other primary care physicians consider adding this treatment to their practices. "Without a doubt," says Dr. Craig Smith. "I think providing this service has allowed us to have some frank conversations that we would not have had before and really help drive some improvement in our interaction with patients." The North Bridgton Family Practice treatment model has already been replicated in two other locations in the area. Tomorrow we'll hear from mothers in the program about the stigma of addiction and how treatment is helping them.